The first years of life are critical for the proper development of vision. Therefore, early diagnosis in children is crucial to ensuring that eye defects can be corrected and do not result in consequences that persist throughout life. Children are often unaware of suffering from eye defects and therefore it is necessary for parents to consult an ophthalmologist for periodic eye tests, without waiting for warning signs. The VISSUM Ophthalmology Corporation has highly specialised professionals in paediatric ophthalmology and optometry, able to diagnose and treat major diseases and vision defects and undertake surgery in cases of childhood strabismus and intraocular and palpebral pathologies. We also have a visual rehabilitation unit that corrects problems and teaches visual learning techniques visual. 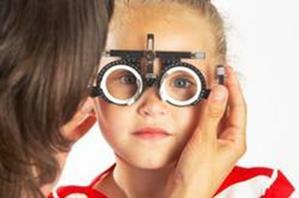 What are the most common eye problems suffered by children? The major vision defects are nearsightedness (myopia), farsightedness (hypermetropia) or astigmatism but they can also include squint (strabismus) and lazy eye (amblyopia). How is it possible to know if my child has poor eyesight? In any of these cases it is advisable to visit a paediatric ophthalmologist for an in depth eye examination. About 20% of school age children may have eyesight problems in one or both eyes, a fact that could explain a high percentage of problems at school. Early detection is critical because there are eye problems that can only be solved in early childhood. When should I take my child to a paediatric ophthalmologist? It is estimated that a newborn baby only has 5% of the vision of a normal adult. This reaches 50% between the first and third years. 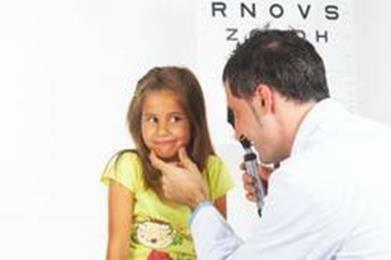 A normal child should achieve 100% vision in both eyes between 5 and 6 years old. 0 to 1 month: a bright light causes them to close their eyes. They can perceive contrasts between dark and light. Their field of vision is less than 30 cm. 1 to 2 months: the child is captivated when looking at the faces of its parents. It follows its hands with its eyes when they enter its field of vision. It only recognises white, black, red, green and grey. It turns its head towards light sources. 2 to 3 months: it recognizes faces and can memorise them. It follows moving objects with its eyes. Its near and far vision is sharper. 3 to 4 months: by four months it has binocular vision. It can focus on objects about 40 cm away without any problems. It can distinguish more colours. It looks at its hands and plays with them. From the fifth month: coordination between what it sees and its motor skills allows it to make precise movements with its hands. An in-depth eye test of the child can be needed if there have been problems during pregnancy or childbirth, such as some infections contracted by the mother. For example, toxoplasmosis can cause an inflammation of the newborn’s retina and other eye structures. 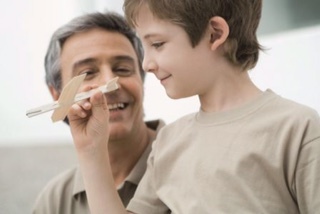 If the mother or father have had problems with their eyesight, even though these may be common problems, such as nearsightedness, or hereditary congenital conditions, such as glaucoma. If the baby’s eyes tear continuously as this may be due to a widening of the tear duct, a fairly common eye problem in children. If the pupil looks whitish. If any deviation in the eyes is noted in a newborn baby or if one of the eyelids droops. Checking visual acuity and refractive errors. To discount the presence of lazy eye. When studying: if the room has a window it is advisable to place the study table in front of it so that the child can rest its eyes and look away occasionally. Natural lighting is preferable. If we are forced to use artificial lighting we must avoid shadows that are projected onto the study area. Watching TV: it is very important to keep a safe distance away from the screen. The computer: it is advisable to have frequent breaks, so that the eyesight is not overly strained. In the pool: pool chlorine is an irritant that affects our eyes, we should avoid direct contact between pool water and our children’s eyes by using appropriate swimming goggles. The sun: do not stare at the sun. It is always a good idea for children to protect their eyes with approved sunglasses.